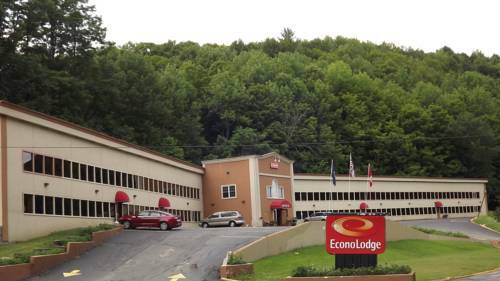 The Econo Lodge hotel in Montpelier, VT is an easy stop on the road. Our smoke-free hotel is near the Ben and Jerry's Ice Cream Factory, Barre Opera House, Berlin Mall, East Barre Antique Mall, Stowe Ski Area and Von Trapp Valley Lodge. Amenities include free breakfast, free WiFi, free parking, a business center and access to copy and fax services. Rooms include a microwave, refrigerator, coffee maker, flat-screen TV, hair dryer, iron and ironing board. Also, earn rewards including free nights and gift cards with our Choice Privileges Rewards program. - Vermont State Capitol Bldg. An attraction for those who thought that they had done everything: an old barn spans the road like a highway overpass.